In 1551 pirates abducted everyone off a small Mediterranean island. 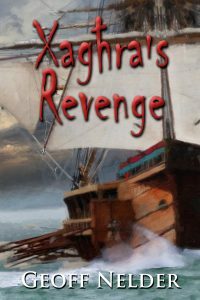 Their spirits cry out still for revenge and in Xaghra’s Revenge I give it to them. A modern couple are thrown together by ancient Gods. They discover they are descended from that shocking event. One from the pirates, the other from the abducted, but which is which? A historical fantasy born from a shocking truth.